The stress we experience throughout our lives can disrupt the natural equilibrium of health in our bodies and render us susceptible to disease, pain, and other health issues. Most people respond very well to acupuncture. Acupuncture treats conditions by strengthening the whole person and working with the natural healing forces of the body. 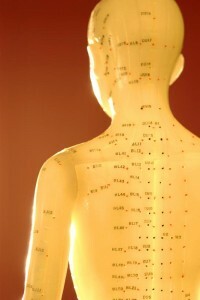 By bringing the body back into balance, acupuncture can alleviate a wide range of conditions such as insomnia, fatigue, loss of appetite, injuries, muscle and joint pains, allergies, hay fever, asthma, arthritis, flu, sinus problems, cough, bronchitis, gynecological and reproductive problems, digestive troubles, circulation problems, depression, anxiety, PTSD, neurological problems, and many others. Although acupuncture alone may not be sufficient to treat serious life-threatening conditions, it works very well in combination with conventional medicine and alleviates side effects of strong medication. It also improves energy levels and general well-being. Lisa Schlegel, founder of the clinic, is a Texas licensed acupuncturist, has completed graduate training in acupuncture and Chinese herbal medicine, and is nationally board certified by the National Certification Commission for Acupuncture and Oriental Medicine (NCCAOM). Every client of Acupuncture & Natural Healing Therapies receives the highest level of acupuncture and herbal medical care available.